Ready to learn how to increase leads and sales by an order of magnitude? In just its third financial year, Steve Glaveski took his company, Collective Campus, from zero to over $1.3 million in revenues (on track for over $2 million this financial year), earning his company a place in the Australian Financial Review's Fast Starter list. He did this without investment, without a large team, without a track record, without a brand to speak of, and perhaps most importantly, without working the crazy hours many think is a prerequisite to results in the entrepreneurship game, which often comes at the expense of one's health and personal relationships. Collective Campus has gone on to work with some of the biggest brands around the world, such as Fox Sports, BNP Paribas, Clifford Chance, Microsoft, Village Roadshow, MetLife Insurance, National Australia Bank and numerous others, across places such as New York, London, Hong Kong, Singapore, Sydney, Melbourne, Frankfurt and Dubai. So, Want To Learn How He Did It? 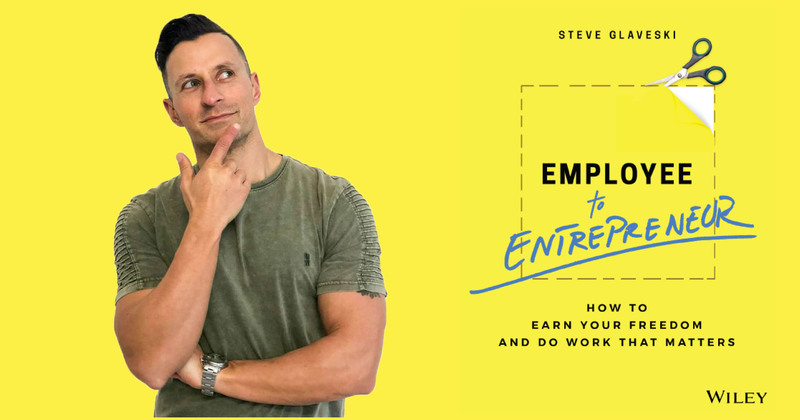 In this 4-week, live online course, Steve Glaveski will unpack the step-by-step approach he has taken to drive rapid revenue growth. This course is not just for entrepreneurs and startups. The techniques and tools delivered, are just as potent for SMEs and even sales teams at large organisations who are clinging on to dated, time-consuming 20th Century sales techniques. This course will take place entirely online, via live stream webinar, and all participants will be able to engage with the facilitator and each other in real time. A number of activities will be presented to participants for completion in between each session in order to solidify their understanding of concepts taught and start to realise immediate gains in their own businesses. This course was developed and will be facilitated by Steve Glaveski, founder of Collective Campus, author of Wiley book, "Employee to Entrepreneur", and Harvard Business Review article, "The Case For The Six-Hour Workday".